ESP Auto Inc., Services: Oil Change | ESP Auto Inc. When is an oil change not just an oil change? When you bring your car to E.S.P. Auto Inc! Instead of just changing your oil, we have a multi-point checklist that we use to make sure your vehicle is in great shape. For each of the points below, we score them as ‘OK’, ‘Soon’, and ‘Now’ so that you can schedule your maintenance at a time that’s most convenient. No shocks, no surprises! When you trust us with an oil change, here’s what we check and report back to you. 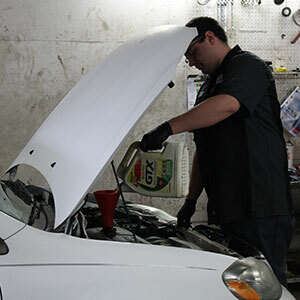 Contact us today if you would like to schedule an appointment for an oil change! Sign up for the ESP Auto Newsletter! All information presented here is the property of E.S.P. Auto Inc.